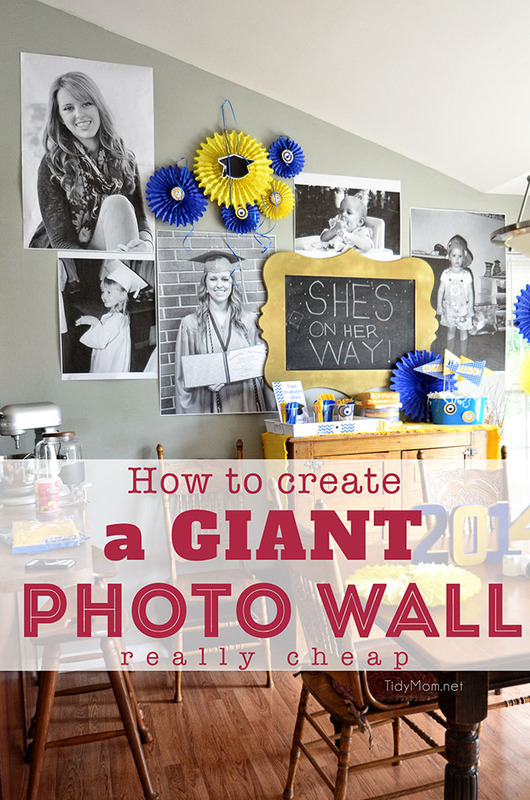 Print your favorite photos on blueprint paper for a GIANT PHOTO WALL for your next party! Large impact for little cost! I was going thru some photos the other day and realized I never shared the fun giant photo wall I made for Allison’s graduation party this summer. 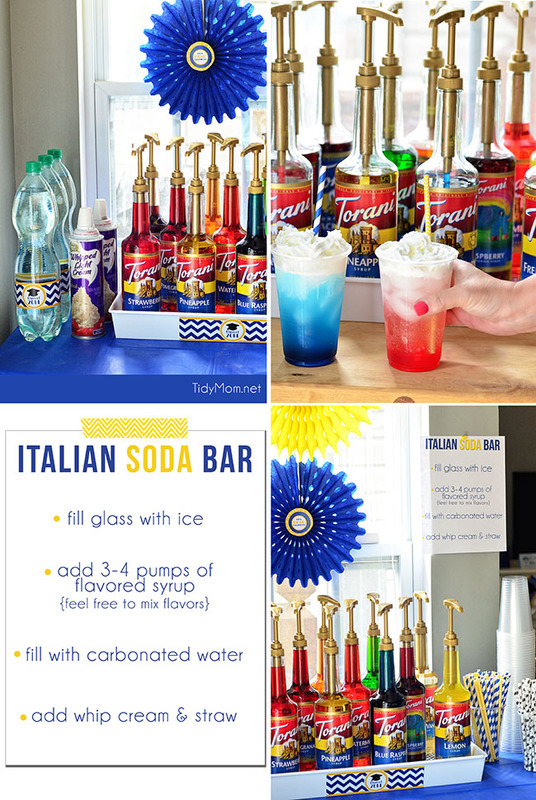 It’s such a fun idea for birthdays, graduations, anniversaries, showers……really any kind of celebration. And the best part………it’s really cheap with a big impact! 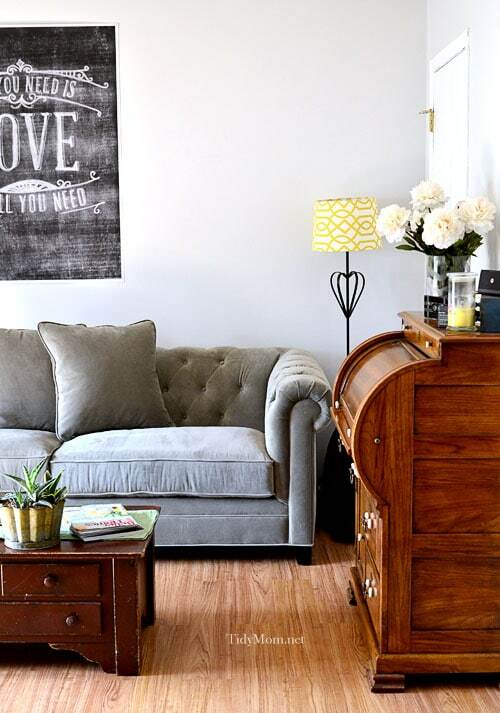 Over a year ago Jen shared how she made a giant photo wall for her daughter’s baptism, by having photo’s printed on blueprint paper. 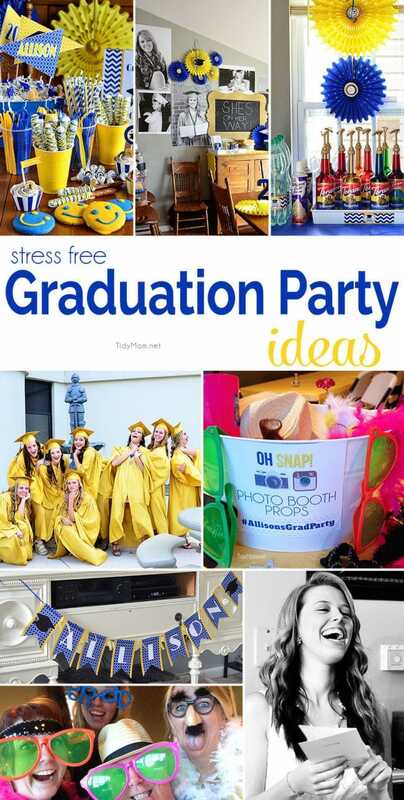 I knew it would be a really cool idea for the graduation party! All you have to do is find a print shop that does large scale copies on blueprint paper. They will be black and white and a little grainy, but they turn out really awesome! At our old house, I had purchased a digital file and called a local printer to print a 36″x48″ poster for me……for less than $5. I emailed them the file and they had it ready an hour or so later. I loved it and hung it over our sofa at our old house. I knew Staples would print them, but we don’t have a Staples near us, so this time I called Office Depot. I was in luck!! They can print engineering prints!! 2 days before the party I picked out a few images of Allison over the years, put them on a jump drive and took it to Office Depot. The people there were awesome and made my copies while we went to dinner and did a little other shopping. I got three 36″x24″ posters and two 18″x24″ all for under $15!! The large prints were just under $3 each and the smaller size was about $2.50 each. 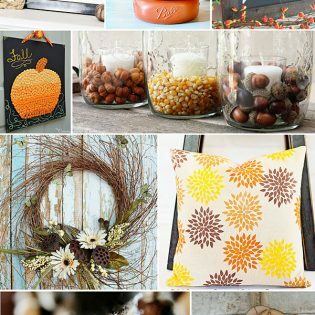 I hung them on the vaulted wall using double-sided tape, in our breakfast room/kitchen and it was a huge hit! 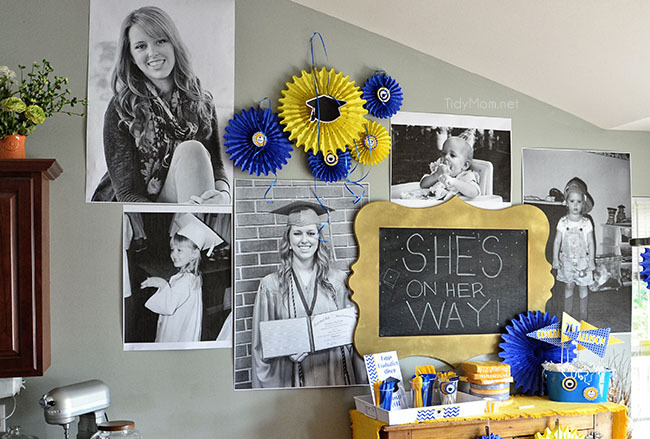 So much so, that a few of her friends had some made for their graduation parties! When the party was over, I simply rolled them up. I’m might get some more made of the rest of the family and do something fun with them in the basement. 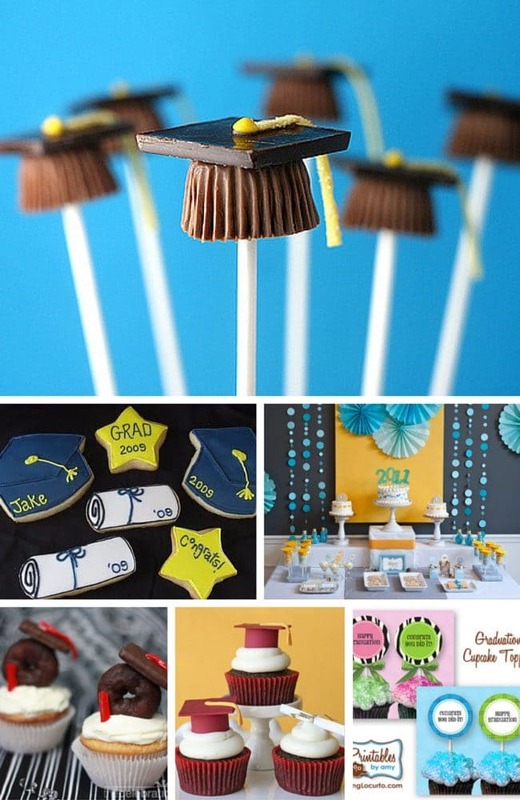 Follow Cheryl Sousan | Tidymom.net’s board Graduation on Pinterest. What kind of fun things have you done for a party? Such a great impact for a party, love it! Awesome idea! I’ve been avoiding having some large photos printed because of the cost. I’d never thought of having them done this way. Cheryl, I love this! My son graduates this year and I can just picture him walking in the house and seeing these huge photos of him all over! What size files did you start out with? I have to keep in mind, he was born in the days of film so some of the photos I’d like to use would be scanned 8×10 photos. Oh Cheryl- it makes me want to cry. It goes by so quickly. How exciting for her though & how cool that you gave her such a great celebration for all her hard work getting here. Hugs!! Giant posters for under $5?! Love this!!! It turned out so cute! I love this idea. I think it’s my favorite party idea ever. What a great idea and so fun! I had only ever heard of Staples as an option. It’s so nice to know there are other choices out there as I don’t live near a Staples either. Oh, and the pictures look fantastic! Pinned! 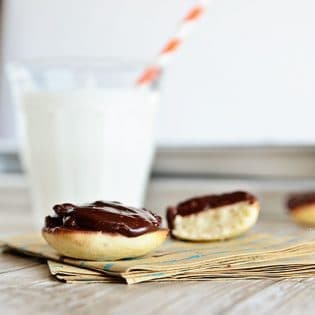 I tried this for our son’s graduation party last week and the photos turned out great! I had a stellar guy at Staples who was so helpful and he knew what he was doing. Thanks for the tip…it made our display wall so fun and personal!